Juventus are reportedly keen on signing Riyad Mahrez from Man City this summer as he continues to struggle for a prominent role at the Etihad. The 28-year-old was signed from Leicester City last summer for £60m, as per BBC Sport, and it appeared as though he could add a crucial dynamic in the final third. However, with fierce competition for places, he’s been left on the bench in six of the last eight Premier League games, although he’s made a fine impact with 10 goals and 10 assists in 36 appearances. With that quality in mind and perhaps with frustration over not playing a bigger part for Pep Guardiola’s side, The Sun note that Juventus are planning to raid City for Mahrez this summer. 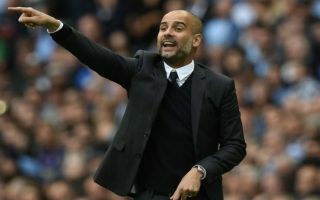 Further, it’s added that they could even add Douglas Costa as part of a swap deal, but City are said to be uninterested in selling their current playmaker. Time will tell if that situation changes before the summer as he’ll be keen to force his way into the starting line-up on a more regular basis. If he fails to do that, a move to Turin to join the reigning Italian champions could also be an appealing option.